Mauryan India Facts: In ancient times, northern India constituted a major battleground where rich and rival rajahs fought for control of the powerful, bountiful, and rich Ganges Valley. Finally, it was in 321 BC, that Chandragupta Maurya, started the first Indian Empire. 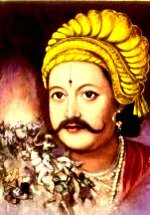 Maurya was a skilled leader, politician, as well as military leader. He expanded the Kingdom of Magadha into the Mauryan Empire and also contributed to the development of infrastructures such as roads, bridges, and a post office, in order to ensure that empire flourished for almost next 150years. The Mauryan Empire was established by Chandragupta Maurya, who took advantage of the confusion which followed after the death of Alexander the Great. Chandragupta familiarized himself with Macedonian fighting techniques during the reign of Alexander and used this knowledge to attack and defeat the Nanda Dynasty of Magadha and start his own kingdom. From there the empire grew by way of territorial expansion and diplomatic agreements with the Seleucid king. The capital of the Mauryan Empire which lasted from 326 to 184 B.C was Pataliputra, which is near modern-day Patna, in the state of Bihar. The ancient Greek historian and ambassador to the Mauryan court, Megasthenes, in the third-century B.C. this city “the great capital of Pataliputra” as the largest and prosperous city in the world. He wrote about its palaces, school, temples, parks, and said that the wall around the city “was crowned with 570 towers and had 64 gates”. After the death of Asoka, the Mauryan empire entered a period of decline. His successors levied heavy taxes on the people. Their harsh treatment caused the people to turn against their Mauryan masters. The last Mauryan king was murdered in 184 B.C. which ended the Mauryan Empire. The region again returned to the control of small city-states. There was a highly centralized and hierarchical government during the Mauryan rule consisting of a large staff, regulated tax collection, trade and commerce, industrial arts, mining, vital statistics, the welfare of foreigners, maintenance of public places including markets and temples, and prostitutes. A large standing army and a well-developed espionage system were maintained. The empire was divided into provinces, districts, and villages governed by a host of centrally appointed local officials, who replicated the functions of the central administration. Legend states that Chandragupta’s success was largely contributed by his adviser Kautilya, the Brahman author of the Arthashastra (Science of Material Gain), a textbook that outlined governmental administration and political strategy. Chandragupta was one of the most anxious emperors, and he particularly feared being killed. As well as training woman to be guards and putting them to protect the palace, he also had servants taste his food to protect him from poisoning and made secret palaces in the palace to protect him from being harmed if ever his palace was invaded. Maurya’s Grandson Asoka commenced his rule as a brutal warlord. His military expanded the borders of the empire to include two-thirds of the Indian subcontinent. The grandson of Chandragupta, Asoka is considered to be the greatest emperor of the Mauryans as under his leadership the empire expanded immensely. Emperor Asoka, who was successful in building a vast empire in India, following a policy of “Dig-Vijaya” (conquering land), gave it up for Daham, Vijaya, (conquering through the Dhamma). He had a tragic end. He passed away in 232 BC and was survived by three sons, Thivara, Kumala. Ashoka’s inscriptions chiseled on rocks and stone pillars located at strategic locations throughout his empire such as at Lampaka (which is the present day Laghman Afghanistan), Manhattan (in modern Bangladesh), and Brahmagiri (in Karnataka)–constitute the second set of datable historical records. In later life, Asoka grew tired of war and became converted to Buddhism. He imparted principles like being kind to others, and to have regard for human life. Under his rule, Buddhist teachers were able to spread Buddhism far and wide. This conversion to Buddhism made Ashoka more famous amongst the people than that as a great warrior. The policy of “Ahimsa” (non-violence) followed by Asoka was instrumental in bringing about the decline of the economy. 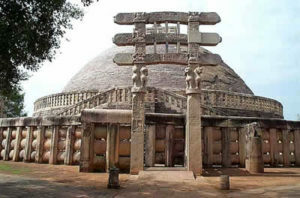 Subsequent to his conversion to Buddhism, Ashoka contributed to Buddhism by building thousands of Buddhist stupas and rock edicts throughout India. After making a public speech calling everyone in his kingdom, Emperor Ashoka set out to help the common people. He began by building roads, rest houses, hospitals and by making stone pillars with virtues on them, planting mango groves, and making shelters. He also became a vegetarian and limited Hindu animal sacrifices but encouraged a tolerance in religion. The Mauryan dynasty which collapsed in185 B.C.E fell because of two main reasons: firstly, the absence of a strong king after Ashoka and secondly, because the military was inactive.